2013 was an eventful year and 2014 just lies ahead with a range of opportunities for the sport and active leisure sector. We have been working for the last ten years with the goal to facilitate and support the development of the sector in bringing education and employment together, and to pursue the vision of a sector playing its full potential in the economic, health and social development. The new Erasmus+ programme, including the Sport Chapter, together with the main EU Policy on Education, Employment and Sport offer concrete opportunities in that direction and we look forward to exchange, collaborate, and cooperate with you. 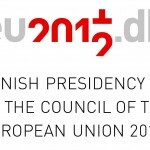 From the release of the findings of the EU Learning Mobility Study to the development of new occupational standards and the setting up of a consultation with the sector on the potential for a European Sector Council on Skills and Employment, 2014 can already be considered as an ambitious year for EOSE. 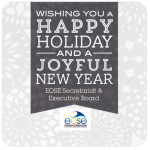 On behalf EOSE’s whole team and network, let me wish you all the best for the Year to come. May the positive winds of change and cooperation wheels turn into one big wave for the sector.